Why do I like to bake Bundt Cakes? For two reasons, really. The only decoration a Bundt Cake needs is a dusting of confectioner’s sugar or a glaze (and since decorating/frosting cakes is not my forte, this is a big deal for me). More importantly though, Bundt Cakes are delicious. 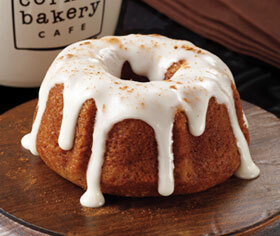 What is a Bundt Cake? 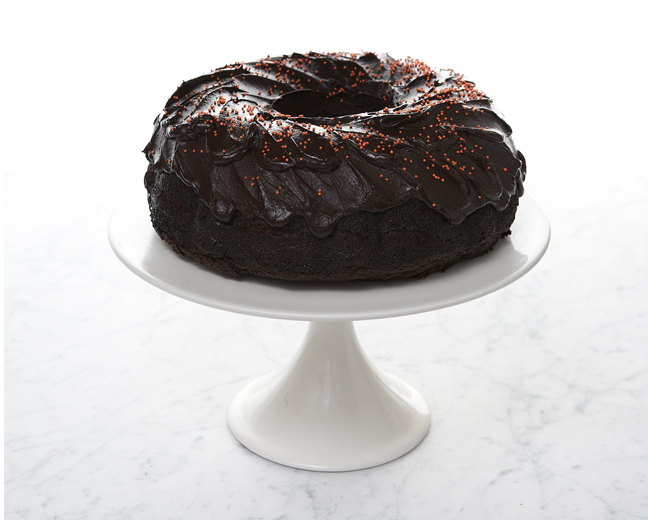 It may be a bit of a circular definition, but a Bundt Cake is a cake baked in a Bundt Pan. A Bundt Pan is a tube pan with curved, fluted sides. 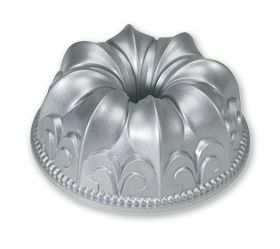 And to add to the fun, Bundt Pans are also available in whimsical shapes – castles, flowers, pumpkins, etc. There are plenty of us Bundt Cake fans. Nordic Ware, the company that trademarked Bundt Pans, has sold about 60 million of these pans to date. Even though Bundt Cakes are popular, I’m still a little surprised that a bakery chain, Nothing Bundt Cakes, bakes and sells only Bundt Cakes. These are special occasion cakes – iced with a thick frosting in a petal shape. All of the cakes are highly decorated; birthday cakes may sport mini birthday hats, flower decorations, etc. Bundt Pan sales took off after the 1966 Pillsbury Bake-Off contest. That year, the second prize was awarded to a “Tunnel of Fudge” Bundt Cake – a chocolate cake with a gooey fudge center. See the posting on Baking Contests. I’ll be baking Bundt Cakes for the holidays!